Confetti Hair Studio and Wellness Spa extends our philosophy to the vital care of the hands, feet and nails. The focus is on natural hand, foot and nail care as well as implementing your own person style. Your hands and feet speak volumes about who you are. Give them something wonderful to say with one of our luxurious hand and foot care services. Our basic manicure includes nail shaping and buffering, hand moisturizing and massage and polish color of your choice. Love your hands! Our spa manicure includes nail shaping and buffing, cuticle grooming, exfoliation and intense hydrating treatment, hand and arm massage and polish color of your choice. Just for Him! This basic manicure for men includes nail shaping and buffing, cuticle grooming, hand moisturizing and massage, finished with a smooth buffed shine. Our basic pedicure includes a hydro-massage foot soak, toenail shaping and buffing, cuticle grooming, exfoliation and minor callus removal, foot moisturizing and massage, and polish color of your choice. Show off those feet again! 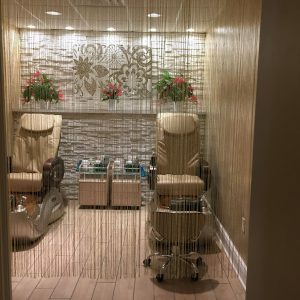 Our spa pedicure includes a hydr0-massage foot soak, toenail shaping and buffing, cuticle grooming, exfoliation and intense callus removal, stimulating hydrating masque treatment, relaxing foot and lower leg massage, and polish color of your choice. A crow favorite! Men with LOVE this! Our classic pedicure for men includes a hydro-massage foot soak, toenail shaping and buffing, cuticle grooming, exfoliation and intense callus removal, foot moisturizing and massage, finished with a smooth buffed sine. Change your look between manicures and pedicures. Add a classic French tip of one with polish of your choice to your service. Add a paraffin wax treatment to your service to soothe the aches and pains of and / or intensely moisturize severely dry, cracked hands or feet. Great for arthritis and carpal tunnel sufferers! 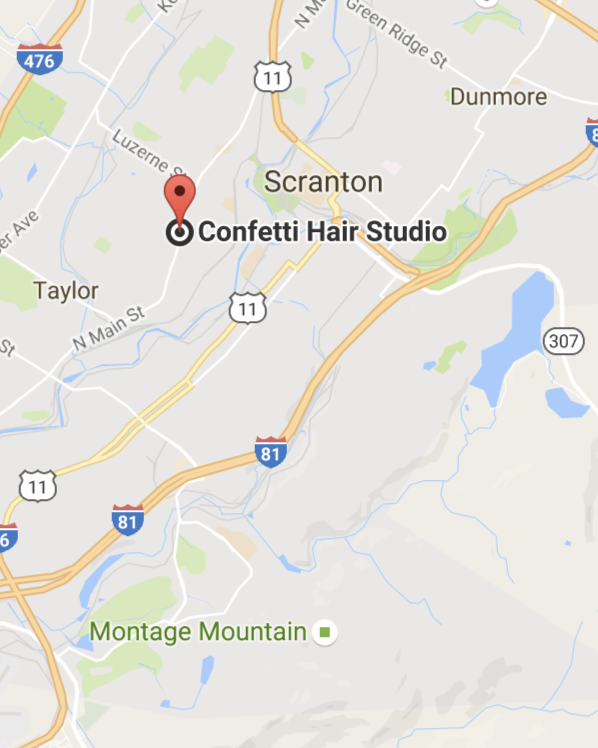 Confetti Hair Studio and Wellness Spa is also available on Sundays and Mondays for an additional charge to accommodate any special planned events! Call for details!